Still independent! Still serving worldwide Latics fans! The LSC was established in 1987 and the website began in 1996. The LSC website is the longest established 'unofficial' web site of Oldham Athletic AFC and is also the longest established message board (forum) of OAFC, official or not. Originally intended to keep Canadian fans abreast of all matters associated with the Latics, the LSC provides a news service and a platform for Athletic fans the world over to express their views on activities at Boundary Park. Learn more about Oldham as a town by visiting our Oldham Links or find out more about the City of Surrey, B.C. here. 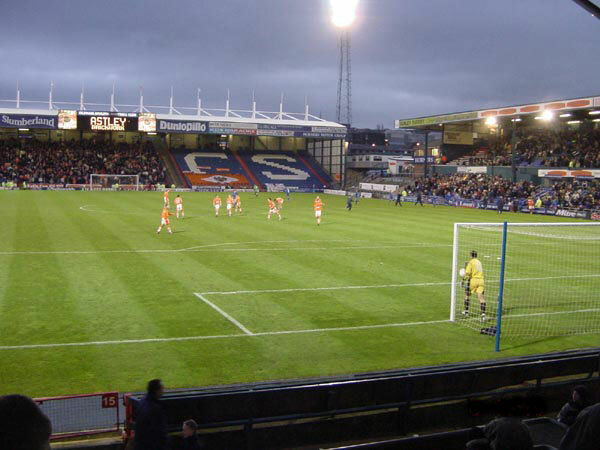 The Latics recorded a third successive 2-0 win at Colchester on Saturday. It's another impressive start for new head coach Pete Wild who did a similar great job before Paul Scholes took over. This was his first away win and he was delighted with the way everything is going. Wild said, "We hit them early and I'm pleased we did because it gave us a chance to hold onto something and really hold onto our lead.�You saw some tired boys out there who have given everything for the club in the last seven days, so to get them two early goals and then we had to do a lot of defending in the second-half against a good side. I'm really pleased with how the lads are performing, really pleased that they're taking onto the pitch what we're asking from them. And I'm really pleased now that there's a character and a resilience about them that they want to work hard for each other, they want to put their bodies on the line for the team.�So, as a coach, and the fans who made the trip, we can all go home happy in the fact knowing that everybody has given what they've got for us." "It wasn't pretty second-half but that's football. That's League Two football. When you get your two-nil lead you've got to do a lot of defending, you've got to withstand a lot of pressure and we did that so fair play to them. It's that Oldham Athletic sort of grit and determination that seems to be in abundance. So I'm not bothered what it looks like as long as they work hard. We all need to stay focused now. The players, the staff and even the fans, we all need to make sure we don't get carried away with ourselves. It's been a good week, but if we get carried away with ourselves we might end up with 'egg on our face' so we need to make sure we all as a group, as a club, just remain grounded and really focus in on Saturday and a big performance against Swindon. I thought they [the fans] were excellent again today and they deserved their applause. From start to finish they stuck with us, even in the second-half when our backs were against the wall they were singing away. So, first and foremost, thank you. Thank you for spending your hard earned money to come and watch the boys and just stick with us.�The message is stick with us and who knows what will happen."